At first glance Leptopril, produced by Generix Labs, appears to be a complete and total rip-off of the Leptoprin fat burner, produced by A.G. Waterhouse (AKA Klein Becker and a zillion other names). However, a BBB search reveals that Generix Labs just happens to share a business address, 5742 Harold Gatty Dr, Salt Lake City, UT, with Basic Research, LLC, as well as all the other “limited liability companies” listed in the FTC press release linked above. In other words, the same less-than-ethical folks behind Leptoprin are flogging their own “competing product.” Sneaky, that. Actually, “were” is a better term than “are,” as Leptoprin appears to have – in the immortal words of John Cleese – “…run down the curtain and joined the choir invisible.” Leptopril, however remains. Only those well versed in supplement ingredients would “get” that #1 is green coffee bean extract and #2 is caffeine – either anhydrous or one of several caffeine-containing herbal extracts (such as guarana). News Flash: green coffee bean extract is a promising weight loss ingredient, but – as our review explains – there’s no good evidence that it’s a miracle worker. But if you’re interested in experimenting with it, there are plenty of less expensive or risky ways of doing so. Most reliable discount retailers, like iHerb.com, Bodybuilding.com, Swanson, etc. carry high quality, standardized, reasonably priced green coffee bean products. And – while we love our caffeine – this ingredient can be found in any local drug or grocery store for less than US $5.00. Red Flag #2 is the price. 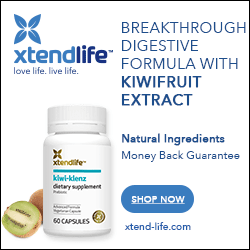 NO over-the-counter weight loss supplement is worth $75.00 (excuuuuse me… $74.99!). You can buy a good product like Lean System 7 for half of that – and it comes with an iron-clad money back guarantee. iSatori is a well known, established company with an “A+” rating from the Better Business Bureau. Generix Labs, on the other hand, has an “F” rating – need I say more? falsely claimed that one of its founders, Daniel Mowrey, is a medical doctor. Would you like to do business with this company? Would you like to keep piling money into the coffers of those who could care less about you? Produced by a company that’s part of a less-than-reputable network of companies.